A great array of packaging to accommodate your CDs, DVDs & Blu-ray discs. 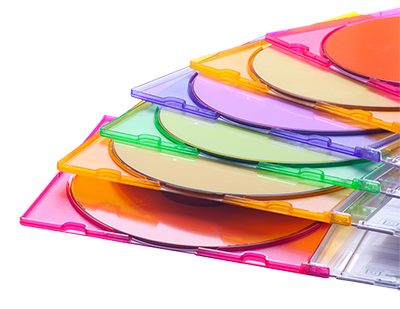 Timeless Memories offers a wide variety of media packaging for your CDs, DVDs & Blu-Ray discs. 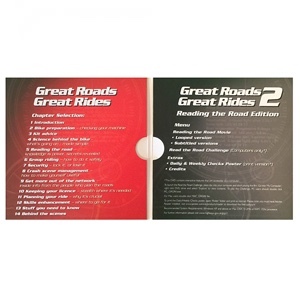 From standard jewel cases to full-colour card wallets and digipaks. Below is a selection of the style of packaging available. 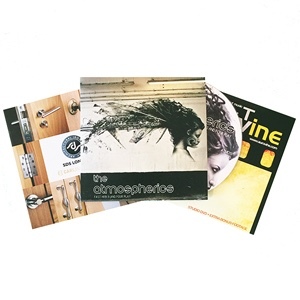 We also offer specialised packagings such as 6 panel CD & DVD digipaks and rigid boxes with full-colour print. If you require specialised packaging then please contact us with your requirements. 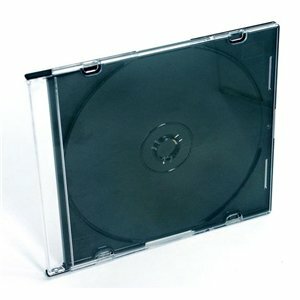 Standard sized jewel case that fits all regular 12cm discs. 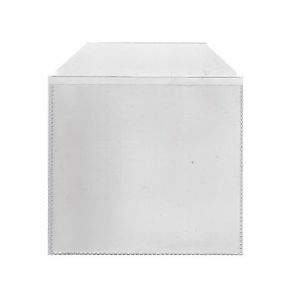 Inserts can be added to the front and rear of the case. 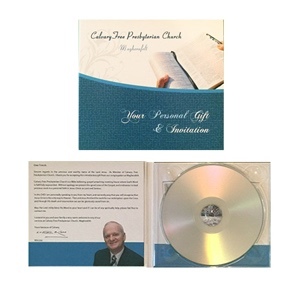 This is the most popular packaging option we sell along with CD duplication. Slimline sized jewel case that fits all regular 12cm discs. Inserts can be added to the front of the case only. Trays come in a variety of colours such as Standard black, Clear, Red, Blue, Green, White & Yellow. 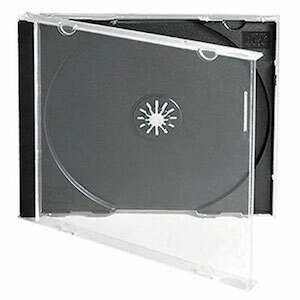 Double CD jewel case that holds two 12cm CDs. Inserts can be added to the front and rear of the case. Only available in the colour shown. Standard sized DVD case that fits all regular 12cm DVD discs. DVD wrap fits inside the outer plastic sleeve. Able to house a booklet on the inner left door. Available in black & clear. 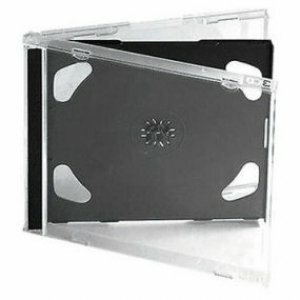 Slimline DVD case that fits all regular 12cm DVD discs. Thinner than the standard DVD cases and only a 7mm thick spine. DVD wrap fits inside the outer plastic sleeve. Able to house a thinner booklet on the inner left door. 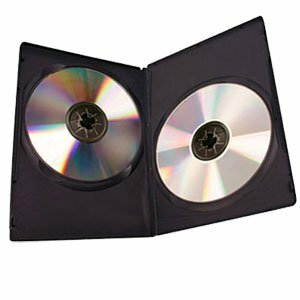 Standard sized DVD case that fits all regular 12cm DVD discs. DVD wrap fits inside the outer plastic sleeve. Able to house a booklet on the inner left door. Available in the following colours: Red, Blue, Yellow, Orange, Green, White & Grey. Standard sized DVD case that fits two regular 12cm DVD discs. DVD wrap fits inside the outer plastic sleeve. Able to house a booklet on the inner left door. 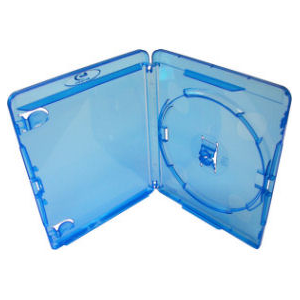 Standard sized Blu-Ray case that fits all regular 12cm Blu-Ray discs. Printed wrap fits inside the outer plastic sleeve. Able to house a booklet on the inner left-hand door. 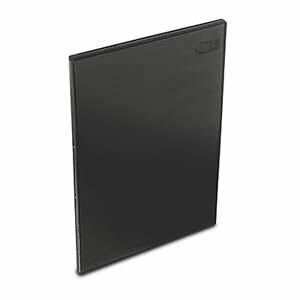 Standard sized PVC wallet that fits all regular 12cm discs. These sturdy wallets are great for convenience . Can hold an inner sleeve or 4 page booklet. Standard sized colour card wallets that fit all regular 12cm discs. Full colour litho printed cards on 290 micron white backed board. Minimum quantity of 100. Double gatefold card wallets for holding two 12cm discs in the left and right-hand side pockets. Full colour litho printed card wallets. Standard 4 panel CD digipak that fit all regular 12cm CD discs. Full colour litho printed cards with clear CD tray. Minimum quantity of 100. Standard 4 panel DVD digi-pak that fit all regular 12cm discs. Full colour litho printed cards with clear DVD tray. Minimum quantity of 100. Don't have any artwork to work with? We offer an artwork design service should you wish to have your artwork designed by our in-house designer. 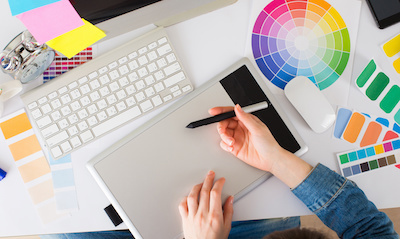 We will work with you to draft up an idea and then put the artwork together for you to approve. All designs are made to comply with our specifications for packaging and will be ready for print once complete. Please contact us for a quote on artwork design.